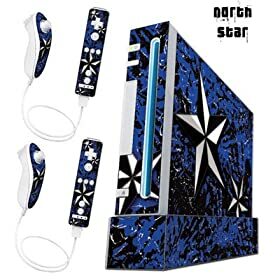 Hey guys, I was just wondering if there have been and are any bundles that involved a different color or style wii? I am thinking of buying a wii AGAIN and It would be kinda cool to get a nifty looking one....not that they don't already : P.
i dont think so...but you could use a sharpie and color it yourself! lol brilliant! well all i know is if some wicked cool version or a lower priced version comes out after i buy it im going to be mad haha. IDK, whatever at least the original is pretty slick. DUDE!! I just thought of a great idea!! YOU SHOULD MAKE WII COVERS AND SELL THEM TO GET RICH!!! lmao yeah hes right. oh and does anyone have any suggestions on how mario kart wii is aswell as mario party 8? i know that Mario galaxy, metroid prime 3, smash bros, and some others rock, but im curious if i should think of those two. well, just buy a regular wii and buy a 10 dollar skin or a shell.... shells are cool, the are colid colors that clip on around the wii, so it looks like the wii, but not white.